Greetings from the final stages of the HOBITSS cruise. 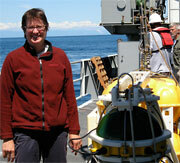 My name is Laura Wallace, and I am a Research Scientist from the University of Texas Institute for Geophysics. I have been studying slow slip event processes on the Hikurangi subduction zone for over a decade, mostly using land-based measurements with Global Positioning System (GPS) data from New Zealand’s GeoNet network (www.geonet.org.nz). I started working on Hikurangi slow slip when I was working for GNS Science in Lower Hutt. It has always been a dream of mine to do offshore investigations of slow slip here, and I’m glad this is finally coming true with the HOBITSS project. I am really excited to say that we have recovered our instruments, and that the vast majority of them have great looking data! This is a massive relief to me, as it is always a gamble when you drop instruments on the seafloor. As the OBS team from Columbia University always tells me, there are lots of things that can go wrong. I had a few sleepless nights in the lead-up to the cruise, worrying about what could go wrong. Luckily most of these things didn’t happen. 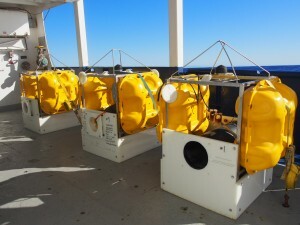 The recovery of the instruments is also very exciting because a large slow slip event occurred in late September/early October directly beneath our network of Ocean Bottom Seismometers and Absolute Pressure Gauges. 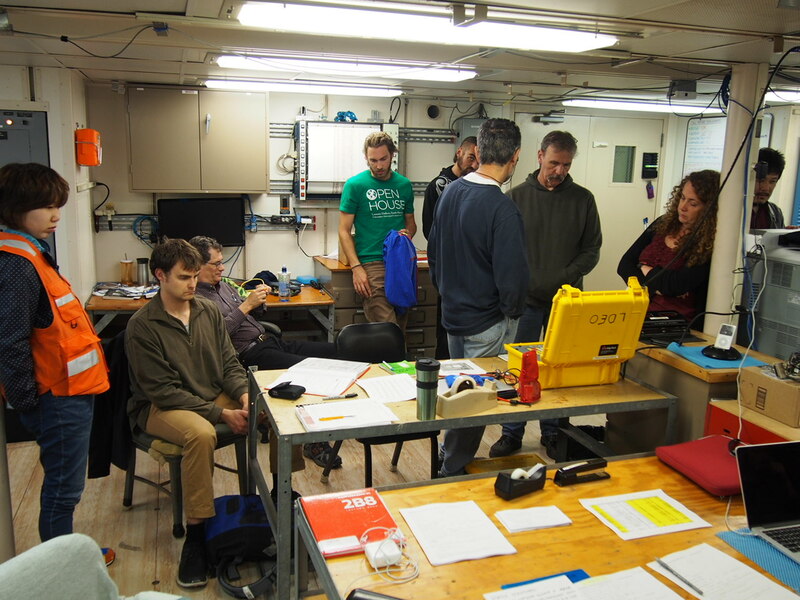 We are excited to start analyzing the pressure data to see if we can detect vertical deformation of the seafloor during the slow slip event. This will allow us to map out the offshore distribution on the shallowest part of the plate boundary (<10 km) for the first time ever. 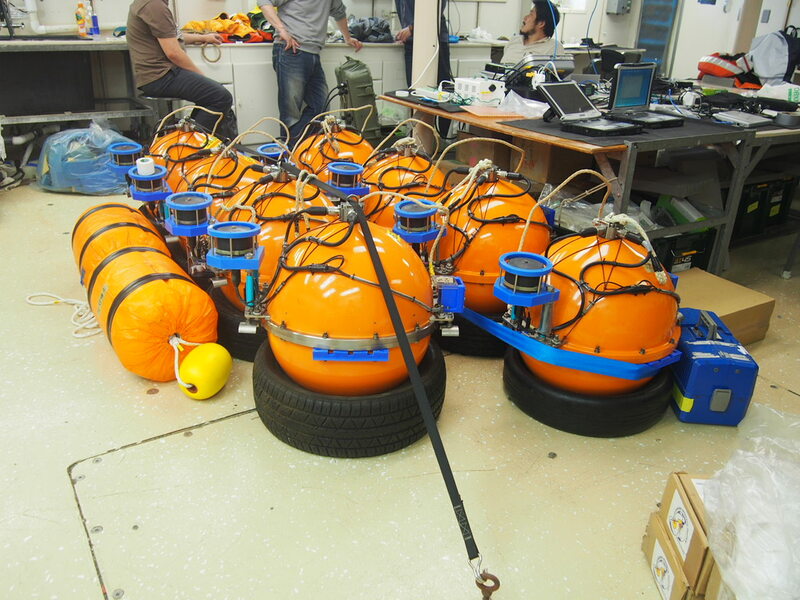 Based on the land-based GPS measurements during the slow slip event, we expect 1-4 cm of uplift of the seafloor over much of our HOBITSS network. 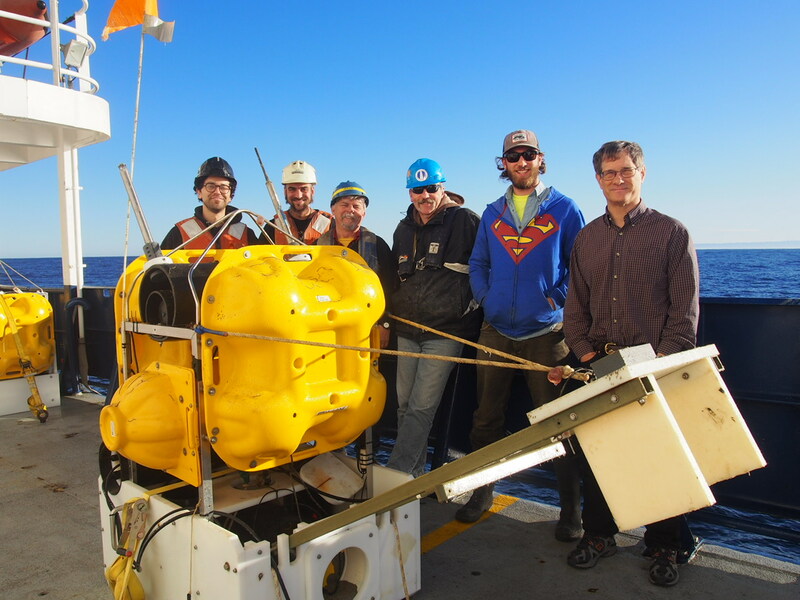 The seismologists on board are already finding lots of earthquakes on both the Ocean Bottom Seismometer and Pressure Gauge data, although it will take many months of analysis to get the full results from the project. We have a great science party on board, with lots of enthusiastic graduate students. 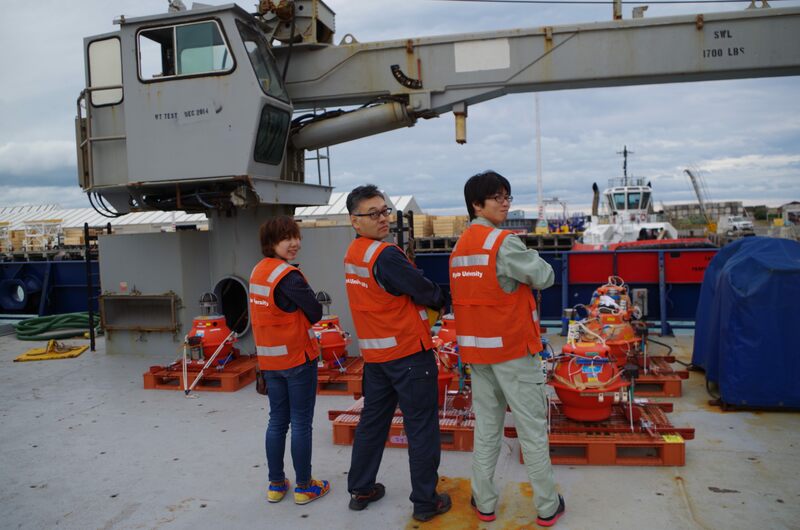 The most valuable members of the team by far, though, are the seafloor instrument engineers from Columbia University, University of Texas, Tohoku University, and University of Tokyo. Those are the guys that make sure we get the instruments and the data back safely. Drew Cole and Jay Turnbull are the Resident Technicians on board the R/V Roger Revelle, and they have also played a major role in making sure things go smoothly during our operations. I’m used to doing land-based fieldwork, so being on a ship is quite different for me. I have to say I’m really enjoying it! 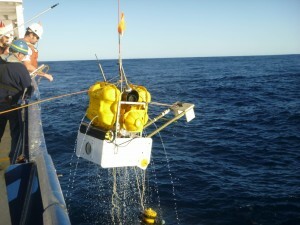 The cruise has been fun, but I can’t wait to get home and start working on this data! My University of Texas instruments lined up on the deck! So happy they came back. I am the digital editor at the Gisborne Herald, and I wanted to ask you if I could publish some of the images from your blog on our website, to accompany Andrew Ashton’s story? 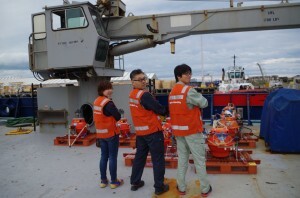 Ideally the first one: Drew Cole oversees recovery of one of the Columbia University OBS and possibly the one of the orange instruments from the university of Tokyo.